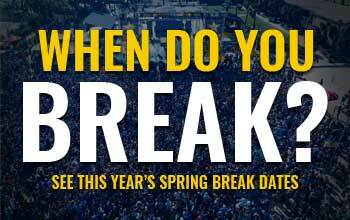 Spring Break in Panama City Beach (PCB) is attended by more students than all other Spring Break destinations combined. Therefore, we shouldn’t really have to convince you that traveling to PCB is probably the best option to take. Nevertheless, we’ve compiled a fun list of reasons why your Spring Break 2013 trip should be to the ‘Spring Break Capital of the World’.